Can we ever know what happened with Roy Moore? A large swath of right-wing media has sought to discredit or cast doubt on allegations of sexual misconduct facing Republican Alabama Senate candidate Roy Moore. Breitbart, the far-right website headed by former White House chief strategist Steve Bannon, has been the most aggressive in its coverage. The website has deployed two staffers to Alabama who have attempted to damage the Washington Post's explosive story, which included allegations from four women who went on the record to say Moore initiated inappropriate sexual advances toward them when they were teenagers and he was in his 30s. The Post story was based on interviews with more than 30 people who said they knew Moore. In one story, Breitbart spoke with Nancy Wells -- the mother of Leigh Corfman, who accused Moore of initiating a sexual encounter with her when she was 14 years old -- and claimed she contradicted a "key detail" of her daughter's story. The Post said in its original story that Corfman spoke with Moore "on her phone in her bedroom." Breitbart asked Wells if Corfman had a phone in her bedroom to which she said no. Wells, however, then added, "But the phone in the house could get through to her easy." In another story, Breitbart noted that Wells said her daughter had to be convinced by the Post to speak out about her allegations against Moore. "She did not go to them. They called her," Wells told Breitbart. But the Post had already disclosed this in its story, stressing that "neither Corfman nor any of the woman sought out the Post" and "were initially reluctant to speak publicly." As Breitbart's critics pointed out on social media, convincing sources to speak on the record is a fundamental part of journalism. But it hasn't been just Breitbart, whose spokesperson did not respond to a request for comment, that has aimed to cast doubt on the allegations Moore faces. Sean Hannity, like other conservative media giants, has not taken a hardline position on Moore. 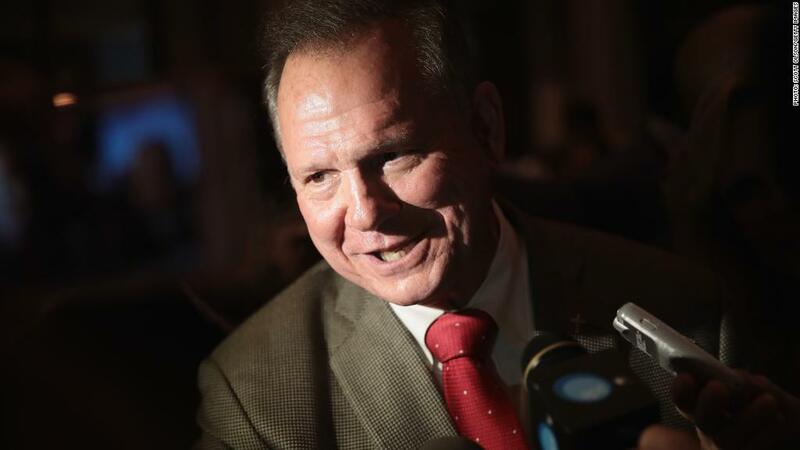 He has said that if the allegations are true, they are "beyond disgusting" and that Moore should step aside, while simultaneously suggesting to his TV and radio audience that the allegations could be a politically motivated hit job. Case in point: Last Thursday, Hannity invited Fox News legal analyst Mercedes Colwin on his prime time program to discuss the sexual misconduct allegations and asked her a number of leading questions. "Do people do it for money? Do they do it for political reasons?" Hannity asked Colwin. "Is that more common than people think?" Rush Limbaugh, the king of talk radio, called one of the accusers a "wacky woman" on his program, according to a transcript on his website, and read part of a story from a far-right blog -- one he admitted he was "not familiar with" -- which sought to discredit one of the Post's reporters. Limbaugh said he has "no idea" if the allegations against Moore are true, but focused on arguing a double standard exists when a Republican instead of a Democrat is accused of misconduct. Mark Levin, a top conservative talk show host, took a similar approach when reacting to the Post's story, saying, it "is impossible to judge the facts" before the election. He then chose to zero in on the Post's credibility and question the "timing of such a report." "Are we to believe these Washington Post reporters just happened to hear about this -- they went to Alabama from some of his supporters and now they were just able to draw the truth out of these women -- particularly the former 14 year old who is now 53 years old? Is that what we are to believe?" Levin asked on his radio program last week. "The newspaper that endorsed the Democrat already. That's what's going on." Levin was referring to the Post editorial board's endorsement of Moore's Democratic rival. He, however, failed to note that the newspaper's newsroom functions independently of the editorial board. Fox News hosts Tucker Carlson and Laura Ingraham have employed more tepid tactics to question the Post's story. Ingraham said on her Friday radio show that if the allegations are true, they would be "completely unacceptable," but added that she found it "a little curious why [Post owner Jeff Bezos] sends a band of reporters" to Alabama to "find out what happened in 1979." Carlson said on his Friday television program that the allegations "sound true" to him, but said the Post and media at large has become so untrustworthy that "even when maybe what they're reporting is correct, it's hard to know exactly."